A big ‘Thank You’ to our Team, you deserve this recognition! A good company needs a good Team. We have an exemplary one! 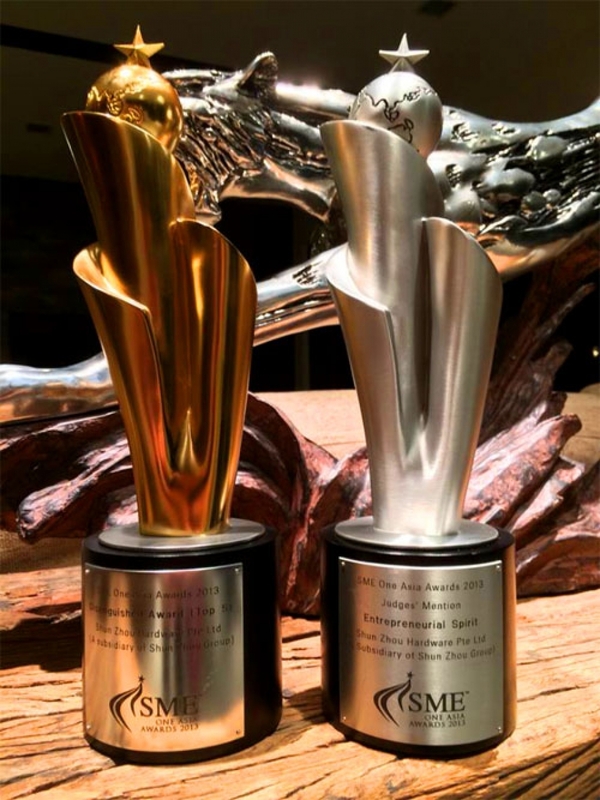 A big ‘Thank You‘ to our Team, you deserve this recognition! Shun Zhou Hardware was founded by the late Mr Oon Soon Ann in 1988 with only three employees, two office tables and a second-hand lorry for deliveries. Since the elder son, Mr Albert Oon, has taken over the responsibilities as the managing director, the company has since grown strong over the years. 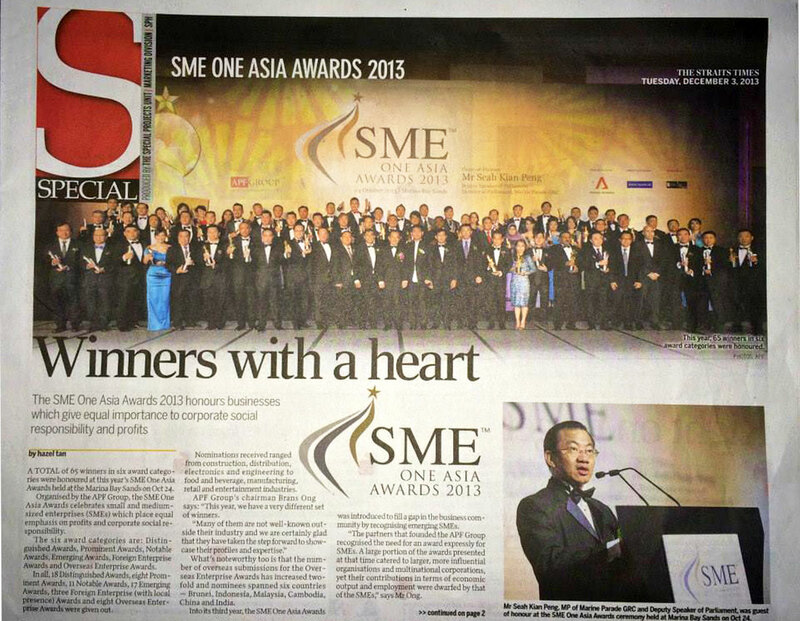 We are proud to be awarded the prestigious SME One Asia Award 2013 – Top 5 of the Distinguished Category! 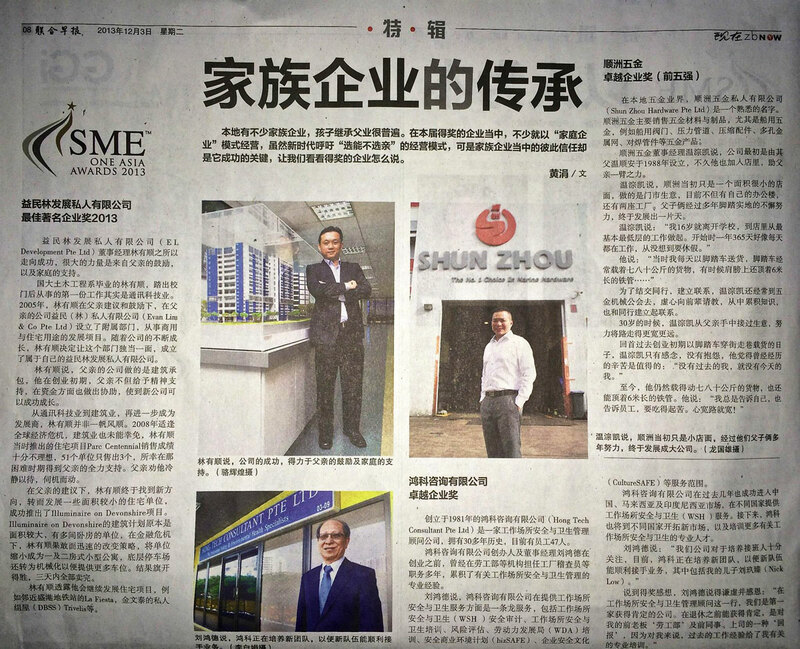 As one of the Top 5 winners of the Distinguished Award, Shun Zhou Hardware now owns a bustling office building, 12 trucks and a team of 40 employees managing a 60,000 sq ft solutions centre that stocks materials for the construction and maintenance of ships and oil rigs. 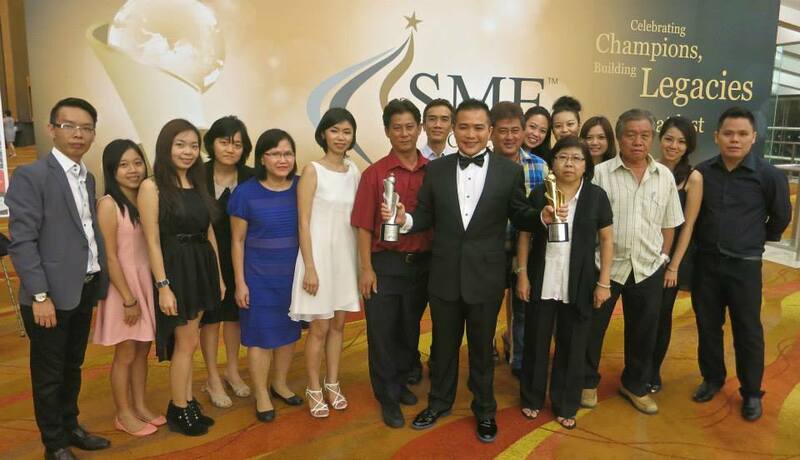 Glorifying family owned business to the next level with perseverance and humility. The hardest day was yesterday.Welcoming new challenges everyday. A heartfelt thank you to our valued staff and business partners, we know we would not have made it without your support. We will strive to deliver excellence for the many years to come! 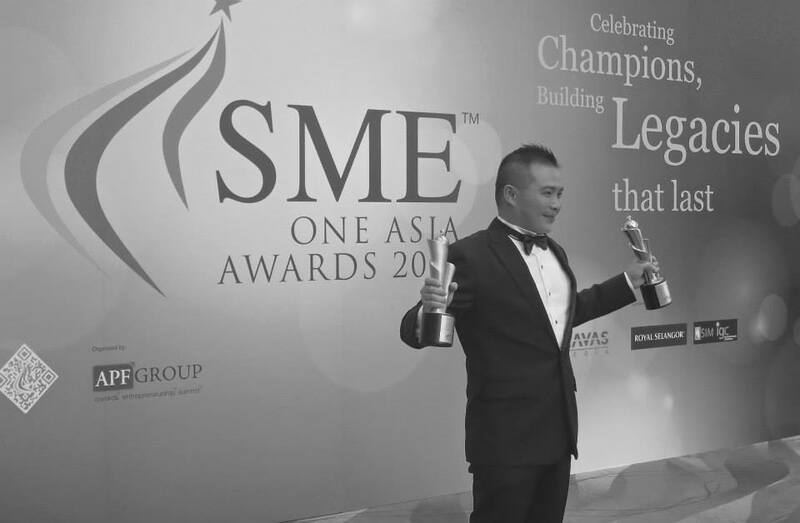 Our group’s Managing Director, Mr. Albert Oon, was specially commended by the judges and awarded the “Entrepreneur Spirit Award”, the first ever presented.